Beta Chapter of Phi Delta Theta at UNC - North Carolina Beta Chapter Helps the Homeless, 611 Meals Delivered Last Month! 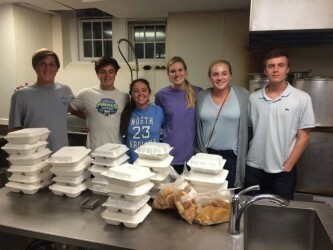 North Carolina Beta Chapter Helps the Homeless, 611 Meals Delivered Last Month! Last month we donated about 611 meals to the homeless shelter! Q: What does GoMeals do? A: GoMeals delivers leftover food from fraternity and sorority houses to the local homeless shelter. We help eliminate food waste and hunger simultaneously. Q: What is your role in GoMeals? A: I’m the Volunteer Coordinator. My role includes outreach, recruitment and driver coordination. I also try to drive weekly to deliver food from Greek houses to the shelter. We’re a small operation that would benefit from a portal wherein Greek houses can directly connect with each night’s drivers – we don’t have that, so I help facilitate that communication. Q: What is your favorite part of participating in GoMeals? A: My favorite part of GoMeals is having the opportunity to interact with the men who work at the shelter. They’re humble servants. 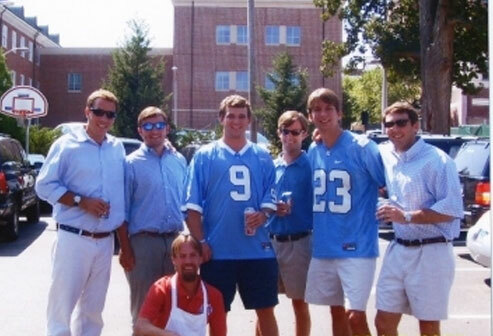 Q: Why did you choose to join PDT UNC? A: I joined Phi Delt because of the good friends. Q: Do you think your time in PDT influences your time in GoMeals and vice versa? A: Sort of – one point I would like to bring up is that we were able to coordinate our new members into GoMeals – the freshman drove every night, Monday-Thursday as part of a commitment to community service.